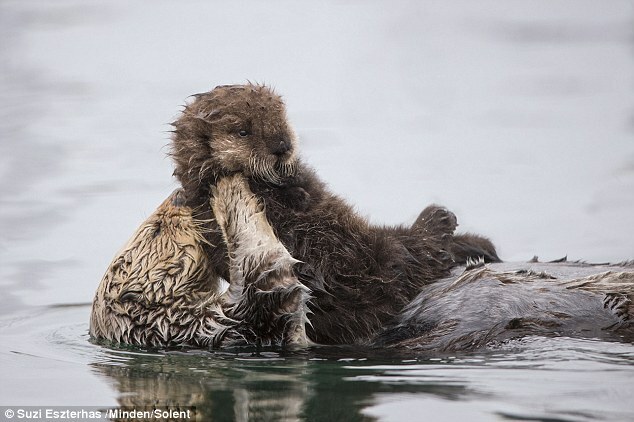 This devoted mother otter found a novel way of keeping her newborn pup dry by letting the baby ride on her belly. 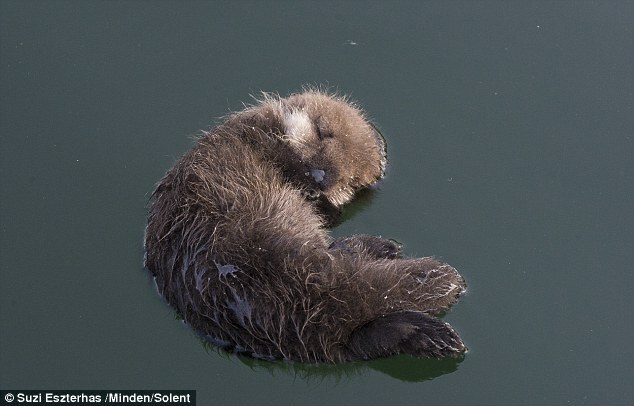 Nature photographer Suzi Eszterhas, 40, spotted the adorable pair of southern sea otters swimming in Monterey Bay, California. 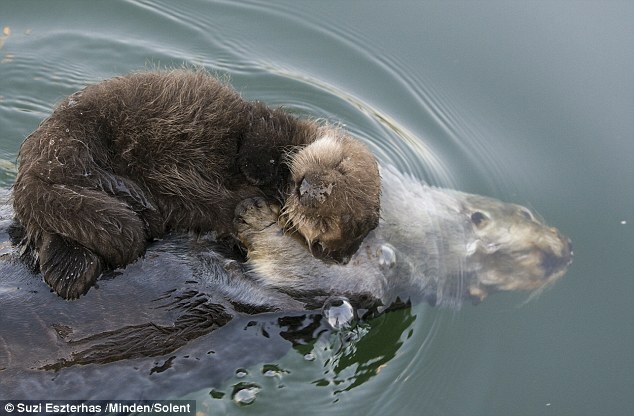 The mother otter lifted the pup out of the water and on to her belly to keep it warm and dry. The loving mother also blew air into the young pup's fur to groom it. Ms Eszterhas said she was surprised to see the otters come close to where she was standing. She watched as the mother left her child to float alone in the water. Young otters have a layer of natal fur that helps them to float unaided while their mother hunts for small animals below the surface. 'Sometimes, she swam right up to the dock and left her pup floating on the water's surface right in front of me while she foraged for food. There are almost 3,000 sea otters living along the California coast - all of which are descendants of a colony of 50 otters discovered in 1938. 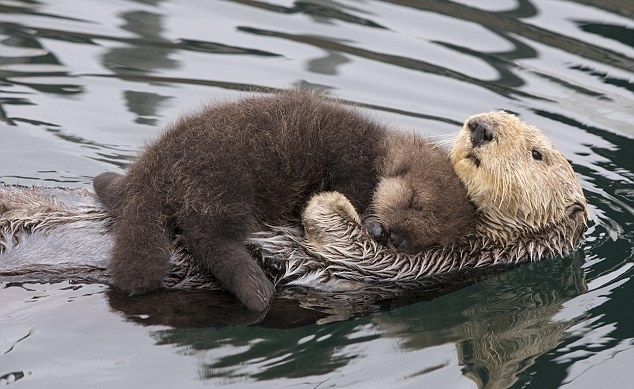 Responses to "Mother otter keeps her newborn pup dry as the pair swim together "